We had a wonderfully relaxing stay in this lovely (and very spacious!) apartment. Kathrin is a great host and provided us with everything we could have needed. The location is also great, a super charming little mountainside village, just a couple km away from the gondola to the Marilleva ski resort. Just perfect for our little getaway! Our company of five stayed 4 nights during our skiing holiday and we were absolutely positively surprised how wonderful the apartment was. Having been in very different rental apartments I must say that this was the most perfect. I think we didn't have absolutely nothing to complain about. What I liked most was that there were so many different kitchen utensils for whatever reason you need. Even wooden heated stow was there but we had no time-chance to try it. Scenery is beautiful and quiet so it's perfect for staying with kids. For skiing the Marilleva 900 condola was just 5 minutes to drive. Kathrin and her family are very friendly and helpful and we did not had no worries or problems. Even our arrival at 3 am in the night was no problem and it made a big difference for us. It was nice to wake up in the morning after having a good sleep and head to the slopes. Definitely recommend this place and will come back also if we plan to go to ski in Madonna di Campiglio or surrounding areas. An absolutely great and very peaceful location for winter holidays. 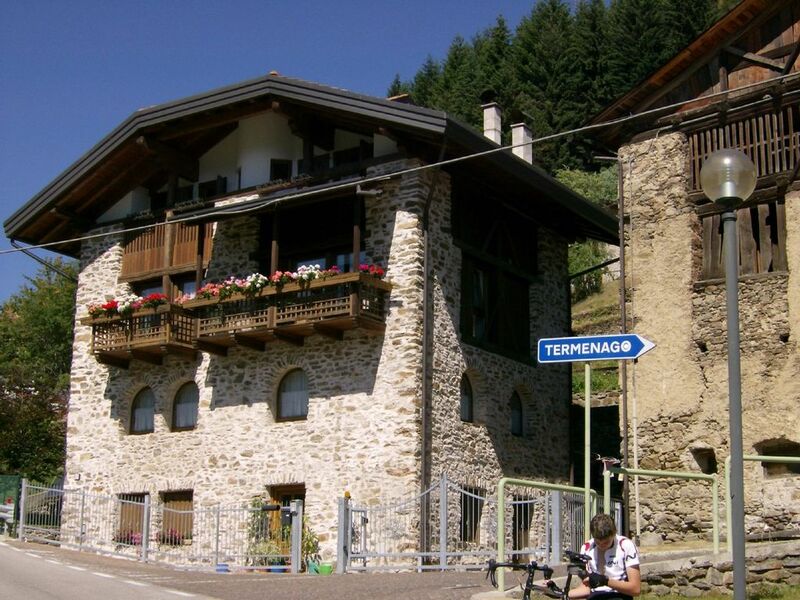 We stayed one week in Termenago and have to admit that place is Italian 'tesoro'. We cannot complain about anything, everything was perfect. The owners are very nice and helpful people. We got a lot of useful information regarding arriving to Termenago and advice about road/weather conditions. They also looked after the heating while we were having fun on the slopes. There was no problem with storage of our skiing gear. if you need help with skiis, Franco can give you reliable ski rental's contact details. The surroundings are magical.The views from the windows are breath taking. It is located only 5 minutes driving from ski resort area Marilleva-Folgarida-Madonna di Campiglio. The property is very comfortable and fully furbished. The kitchen is well equiped with all utensils, so you can cook whatever you want. Eco-friendly place, they care about recycling. Fair play to the owners! Good value for money. We strongly recommend this place!!!!! I wish I could live in Termenago. We stayed here during New Year Eve's Week and everything was ok! Owners are beautiful people, very friendly and helpful. Listing description is very accurate about every item you can read in the list. Property is beatifully located because you can admire Sole Valley from windows in the living room (and if you are lucky, during the night, you also can see roe deer!!). Staying here means to stay far away from noise, traffic..It's to live in mountain, but in five minutes by car you have all valley's services and facilities. we strongly recommend this property!! Termenago is a small historic town. There are many worthwhile sights in Val di Sole, Trient (70 km), Bozen (75 km) and Meran (80 km).